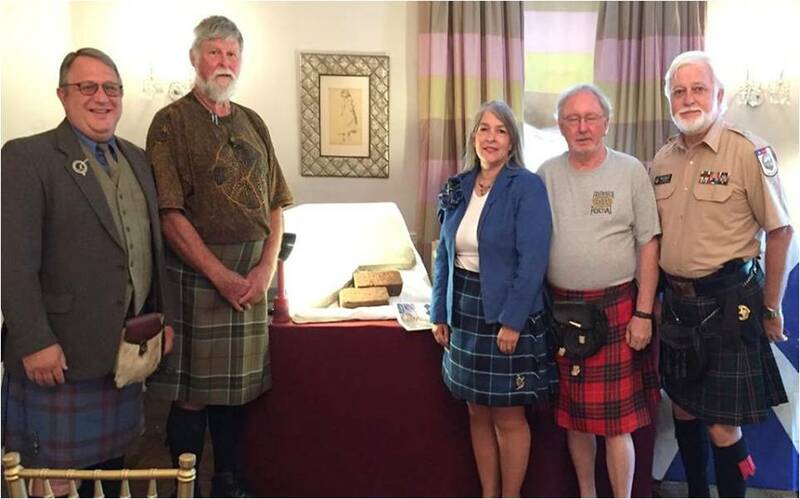 On July 25, 2015 Frank Maurer, Master Carver of Tartan Stones, presented the Maryland State Tartan Stone to the St. Andrew’s Society of Mid-Maryland. 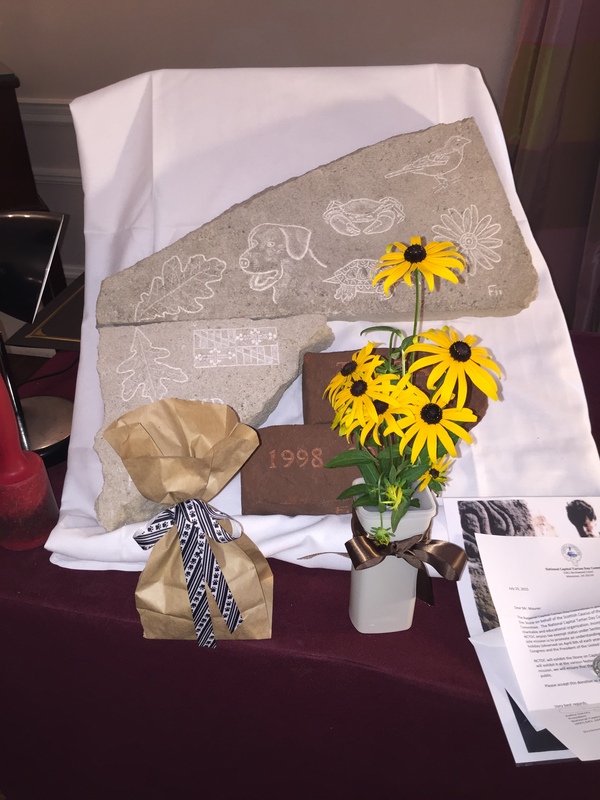 The Maryland stone is the 31st Frank has personalized since 2008, and features the state flower, the Black-eyed Susan; the Maryland flag; the dog—the Retriever; and more. The efforts to get a National Tartan Day (NTD) recognized and passed by Congress prompted Frank to this endeavor. He personalizes each stone with the year of the Senate bill recognizing NTD (1998), and then the year of presentation (along with his personal markings as the carver). 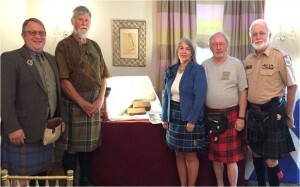 In Frank’s prepared remarks, he speaks of the significance of the Declaration of Arbroath and the contributions Scots have made to western civilization. 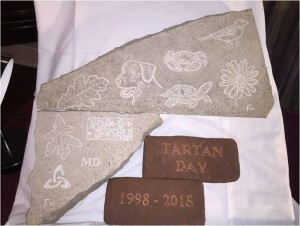 Rather than having these stones sitting in a library archive, he would prefer that they be available at our public events and educational aids in helping us tell of our heritage. Frank was raised in Massachusetts and resides in California. 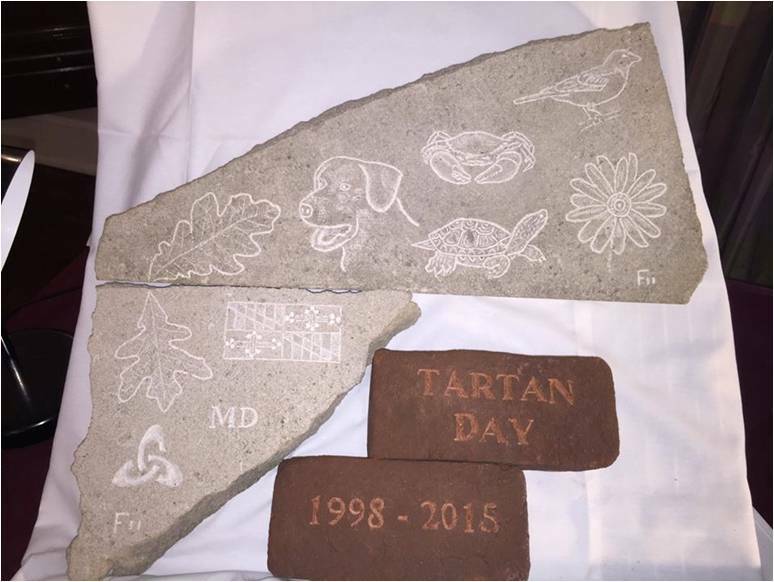 The St. Andrew’s Society of Mid-Maryland is honored to accept the Maryland Tartan Stone and share its story!